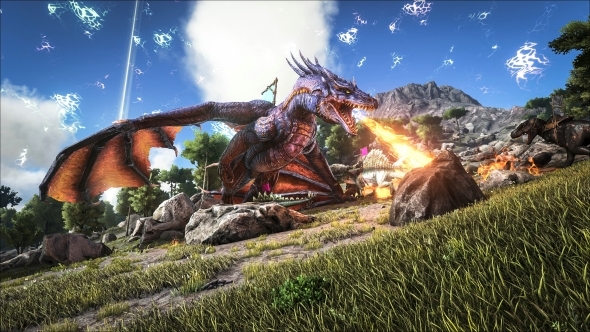 Wildcard Studios have told us they won’t be wiping Ark: Survival Evolved’s servers ahead of launch on August 8. Instead, the legacy servers, which have been plagued for months by players exploiting bugs to duplicate items, will continue as before. The studio will also spin up hundreds of new servers at launch. 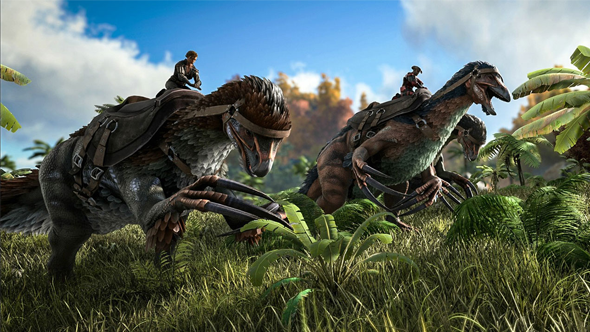 If you’re excited about Ark’s impending release, you should take a look at our Ark guide. This is all in line with a statement Wildcard co-founder Jeremy Stieglitz made on the game’s Steam forums back in 2016. In it, Stieglitz says, “Here is the final word on the matter: we will not be wiping the official servers on Ark’s release.” However, that original plan wasn’t always going to be stuck to. Just yesterday, Stieglitz called us to say that he and the team had, in fact, decided to wipe the servers ahead of the launch. He told us the plan was to take a snapshot of the servers today and release the save state online for fans who wanted to continue the legacy servers on their own, while Wildcard wiped its official servers on August 8. The main driver behind the decision to wipe the servers was item duplication. “There’s been a lot of item duplication issues in the last couple of months due to some aggressive hacking tactics that very skilled players have been using,” Stieglitz explained. “We’ve been biding our time and monitoring how they’re achieving this, closing some loopholes. “It’s a wide variety of techniques, but the bottom line is that we’ve got solutions for all of the [problems]. It’s not an easy thing to address what has already transpired and make it fair for the new players that are going to be coming in on the full release. We can’t get rid of all the Legacy items that people have created with those techniques.” So, rather than have players enter an unbalanced server, the decision was made to start it over again. Today he returned to that, saying “I discounted that idea when we talked previously, we discussed internally and said it’s not viable due to cost and scale but it is if we are a little more aggressive about offlining servers that no one plays on anymore. And there are some of those servers. There are some servers that have virtually zero player count and have for some time. We estimate it’s about 10%. By offlining empty servers, Stieglitz is confident that the cost of all the new servers won’t be too much of an expense. So, no, Ark won’t be wiping its servers on launch. It will, in fact, be getting plenty of new servers.